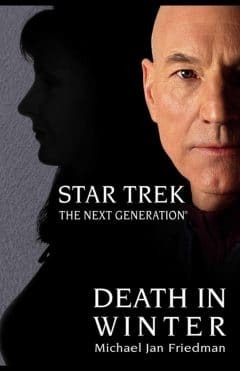 A reunion between Picard and his former crew from his command of the USS Stargazer turns deadly when a ruthless assassin begins eliminating the Stargazer crew one by one. Kevratas is a bleak, frozen world on the far side of the Romulan Neutral Zone where the Federation has become the plague-ravaged natives' only real hope. 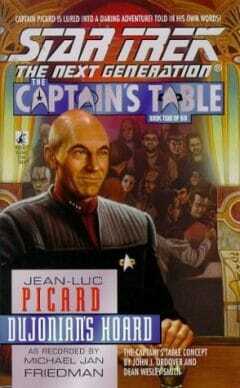 Picard teams up with two former Stargazer colleagues: Pug Joseph and Doctor Carter Greyhorse. 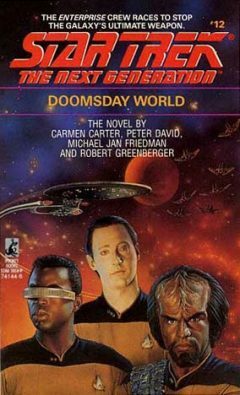 Captain Picard travels back and forth among his past, present, and future as he and the crew of the Enterprise fight to prevent the destruction of the human race. On the planet Xhaldia, ordinary men and women are mutating into bizarre creatures with extraordinary powers. 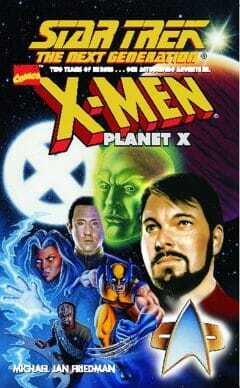 Dispatched to cope with the growing crisis, the crew of the Enterprise receive some unexpected visitors from another reality, a group of mutant heroes known as the X-Men. 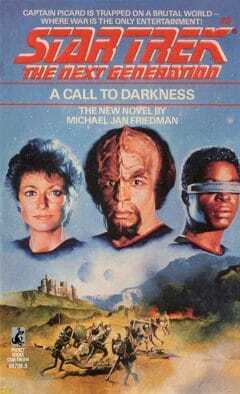 Geordi, Data and Word find themselves imprisoned and the prime suspects in a series of terrorist attacks on Kirlos, an artificial world built by a mysterious long-dead race called the Ariantu. The Enterprise discovers a lifeless Federation research vessel, orbibting a planet hidden behind a mysterious energy shield. 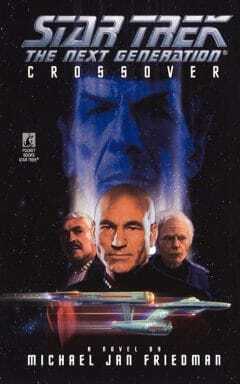 Captain Picard and an away team beam over in search of the missing crew - and vanish. After missing in space for 75 years, Scotty is found by the crew of Picard's Enterprise. 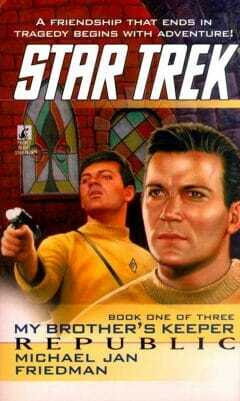 Now Scotty must do the impossible when the new Enterprises faces a very old danger in a remote sector of space. 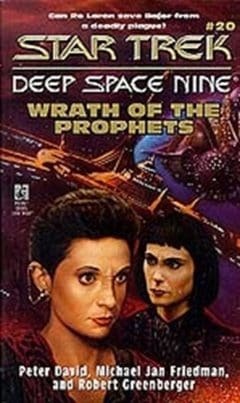 Ordered to transport a group of mediators to a planet where assassination is a time-honored tradition, McCoy is surprised to learn that his ex-wife is one of the mediators. Years ago, Riker was part of the delegation that opened Imprima to the Federation. 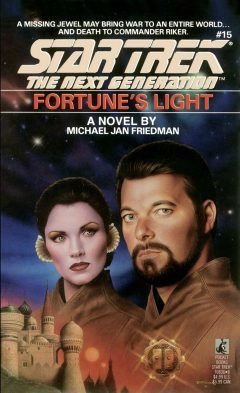 Now the disappearance of an old friend draws Riker and the Enterprise back to Imprima where a jewel known as Fortune's Light has been stolen. 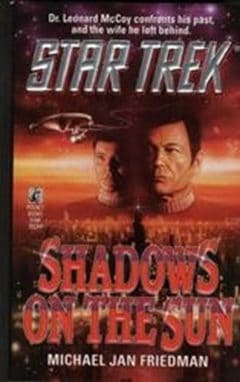 Riker must discover the truth behind the disappearance of both his friend and Fortune's Light, no easy task on a world where treachery and intrigue are commonplace. On their way to the Gorn Homeworld the Enterprise stops to investigate a mysterious alien artifact. Captain Picard is suddenly hurled through time and space and the Gorn summit goes terribly wrong. 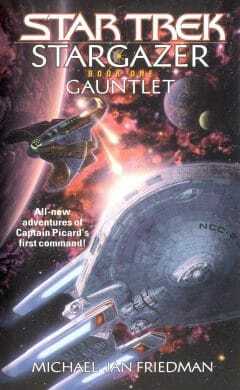 Gamma Xaridian suffers a brutal attack a the hands of a mysterious alien fleet. Captain Kirk and the Enterprise are dispatched to investigate the attacks, only to find the planets completely devastated. 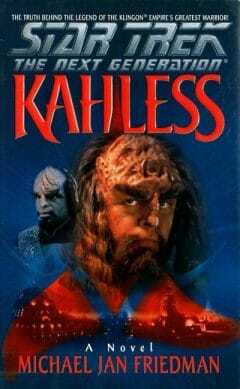 For 1500 years, the Klingons have revered Kahless as their first emperor. 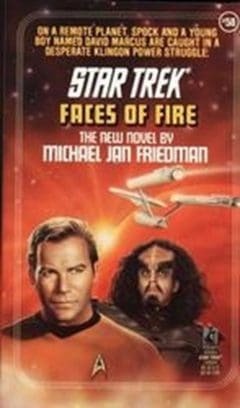 A clone of the original Kahless now reigns as emperor, but the discovery of an ancient scroll throws the legends into doubt and threatens to tear the Klingon empire apart. 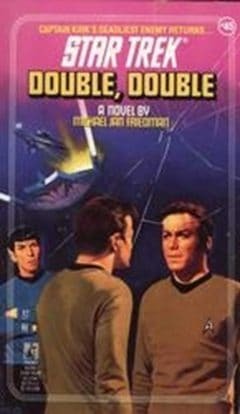 The crew of the Enterprise begin a long-overdue shore leave on Tranquility Seven when a bizarre case of mistaken identity plunges Kirk into a whirlpool of mayhem and murder and puts an inhuman stranger with his memories and abilities in command of the Enterprise. 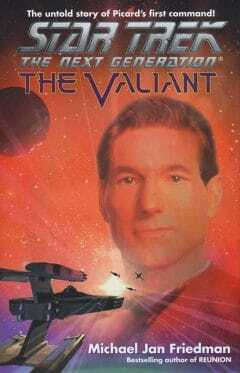 Three hundred years ago, the SS Valiant was destroyed during an attempt to cross the Galactic Barrier. 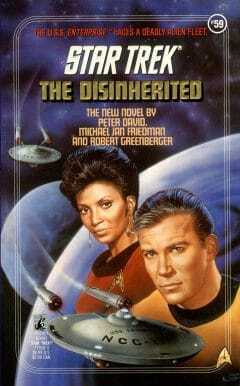 Now, descendants of Valiant survivors warn that a hostile alien species are preparing to invade our galaxy. Starfleet orders the USS Stargazer to investigate at once. 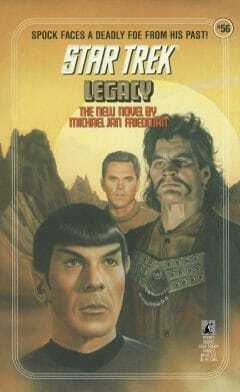 On a remote planet, Spock and a young boy named David Marcus are caught in a desperate Klingon power struggle. 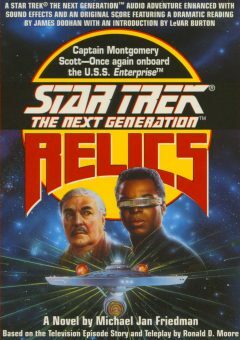 With the interstellar pirate known as the White Wolf wreaking havoc across several sectors, inexperienced young starship captain Jean-Luc Picard and the crew of the U.S.S. 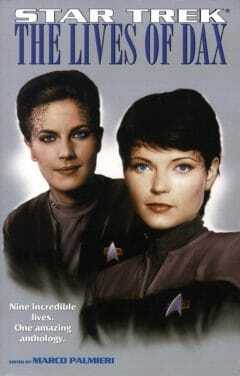 Stargazer are given the task of stopping the terrorist's raids on Federation cargo ships. 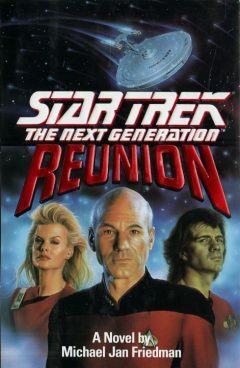 While Picard, captain of the USS Stargazer, struggles to keep the peace between two alien races, Lieutenant Commander Jack Crusher must team up with a Vulcan officer named Tuvok to uncover the hidden architect of the attacks. A routine training mission with a young Kirk and Gary Mitchell on the U.S.S. Republic is diverted to a planet where centuries of bloody interplanetary conflict are about to end in a ceremony of reconciliation. Kirk and Gary quickly find themselves in the middle of a life-and-death struggle against terrorists. 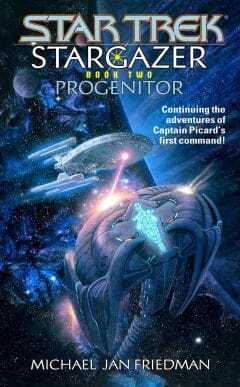 Captain Picard recounts his secret Starfleet mission to rescue one Richard Brant, a former Starfleet officer who had disappeared while searching for the legendary treasure trove of historical artifacts known as Dujonian's Hoard. 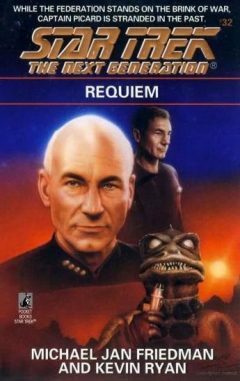 Captain Jean-Luc Picard and the crew of the Stargazer head for the homeworld of ship's engineer Phigus Simenon and his lizard-like race for a traditional fertility competition, but they soon discover that an unknown enemy not only wants Phigus out of the competition, they want him dead.